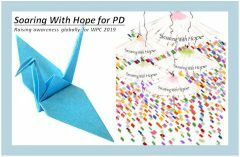 Another Parkinson’s blogger, Aquarius331 posted an article a few days ago about Anxiety and PD. Her timing was great, since I had just written about the fears we all face living with a chronic degenerative disease like Parkinson’s. Like Aquarius, I had been experiencing anxiety, and a few full-blown panic attacks, well before I was diagnosed with PD. I tried breathing exercises, anti-anxiety meds, therapy, and even acupuncture, but the underlying anxiety did not go away until I was put on an anti-depressant that also worked for anxiety. The other thing that really helps me is yoga. When I start to feel anxious, I can go to my yoga practice to calm down. Aquarius also recommends treating it with humor, but she says that is not always so easy to do. You know the routine. You start feeling anxious. Thoughts of doom go through your head, which in turn increases the anxiety. It is a vicious cycle that can escalate out of control unless you, or someone near you, recognizes what is going on. Someone has to take control and break that cycle, and it may not be you. When in the middle of an anxiety/panic attack, I don’t always recognize what is going on because I feel so miserable. I have asked my wonderful husband to step in when he sees it happening and intervene. Sometimes just a gentle backrub or a cup of hot tea will work. Other times, he may need to make sure I get to the doctor even if I don’t think I need to go. So getting back to the last few weeks. The fear we have about our health is often rooted in anxiety. Every ache and pain can be misconstrued as a major life-changer. And so the cycle begins. I went to my doctors for what was most likely Costochondritis. They did everything they can to find out what is going on. A questionable x-ray diagnosis turned out to be nothing serious. But the damage had been done and I was stuck in the loop of anxiety until my doctor called and said everything was ok. I finally went back to exercising this week, which has been a major help. Knowing that you can function normally, without pain, after being out of commission for so long can give you a big boost, emoti onally and physically. And the best part is that it can break the cycle of anxiety. Life is back to normal, thanks to the many who helped me through this. And I feel good. 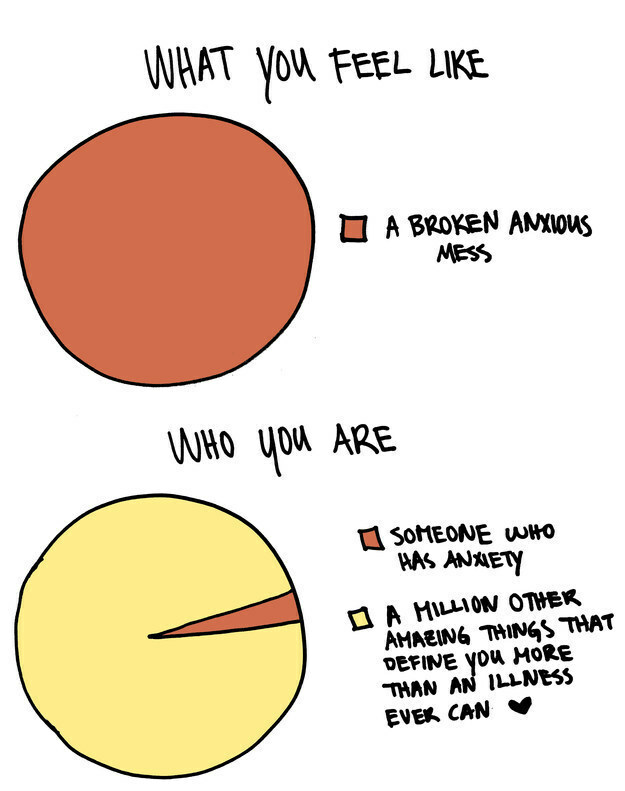 After all, there is much more to life than being anxious all the time. Yayyyyyy! On Thursday, June 16, the Michael J Fox Foundation will have a Third Thursday’s Webinar on Anxiety and Depression. Click here for more information and to register. Glad you are feeling better! This was a very informative post for me. I started having panic attacks several years before my PD diagnosis, and never connected the two until I read this. Thank you for sharing. I’m so pleased you are feeling better again. Despite trying to see the funny side that was quite difficult for me to write. Your blog really helps give me courage. You obviously read a lot around PD. I wonder if you have ever come on any connections with it starting after a traumatic event? In my case the anxiety started after an assault. I guess it’s most likely coincidence. I have heard that a traumatic event can be a trigger, but the Parkinson’s is already there. I was having odd symptoms which I ignored. When I broke my leg, my other foot started to twitch, and then it was downhill from there.